In this Apr. 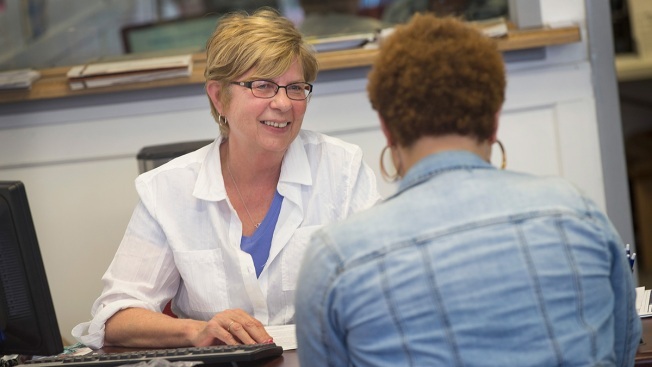 18, 2016, file photo, Roberta Vesperman (L) helps a customer prepare her taxes at her Liberty Tax franchise office in Chicago. Many if not most Americans are confused about which tax-saving strategies are actually legal, NerdWallet found in a 2019 tax survey it shared with CNBC Make It. As a result, millions of people filing taxes could be missing out on money-saving deductions. One such strategy is to contribute to your IRA for 2018 after December 31 but before the tax deadline in 2019. A full 75 percent of Americans think funding an IRA after the end of the year to reduce their taxable income is illegal, the personal finance site reports. That’s unchanged from what NerdWallet found in its 2018 Tax Study. The strategy is actually perfectly legal. Assuming you qualify, you have until the Monday, April 15, tax deadline to contribute to an IRA for the previous year. The reason this particular strategy can save you money is because, when you contribute to an IRA, “you can deduct that contribution from your taxable income for 2018,” Andrea Coombes, a tax specialist at NerdWallet, tells CNBC Make It. To see if you qualify for tax savings by contributing to an IRA, check out NerdWallet’s handy chart, which breaks down the deduction limits. Finally, you have to note whether you want your contribution to apply to your 2018 taxes or your 2019 taxes. So if you want to take advantage of this tax-reduction strategy this year, specify that you are making a tax-year 2018 contribution.